Purchasing new tires for your car isn’t difficult. However, it is hard to figure out what tires will work best for your vehicle. If you make the wrong choice, your car isn’t going to run or handle as well. It may also be more difficult for you to drive when Utah has inclement weather. Tires don’t last forever. In general, you’ll need to replace your tires before the five year mark. If you are in the market for new tires, check out these tips to help you make the right decision. Before you do anything else, you need to know what your tire size is. Tires can vary quite a bit in diameter. If you aren’t sure what size tires your car needs, take a look inside the driver’s door; there is normally an information card with the details listed there. If you don’t find what you need, look at the tires that are already on your car. You are searching for a series of numbers and letters. The diameter is the last two numbers in the series. Once you have this piece of information, you can move forward with your shopping! The way you drive your vehicle impacts the type of tires you should get. Do you set your cruise control often? Are you on the highway a lot? What do the roads look like that you drive on most often? All of these questions are important when it comes to what type of tires you need. For example, a driver that is cautious on the road would do well with an all-season tire. Someone who is a little more adventurous may need an ultra-high performance tire. Many people wait much too long before they start looking for tires. Take a look at your tread. Put a quarter inside, with George Washington’s head facing down. If the top of his head matches up with the tread, you need to begin thinking about new tires. By realizing that you need tires before they become dangerous, you can take your time and shop for a good deal. 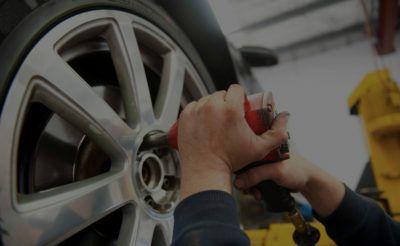 This also enables you to get the right tires for your needs. You can purchase your tires over the Internet or in a store near you. Sometimes you will find the best prices in store, but sometimes you will find the best prices online. Do your research so that you can save the most money possible. If you need assistance with your tires, Ethan’s Honest Automotive is here to help. With years of experience in the industry, we can help you determine if you need new tires and also assist you in picking out the right tires for your vehicle. We are happy to rotate your tires for you as well, which helps the treads last longer and therefore maximizes the life of your tires. We are committed to making sure that you stay safe on the road. 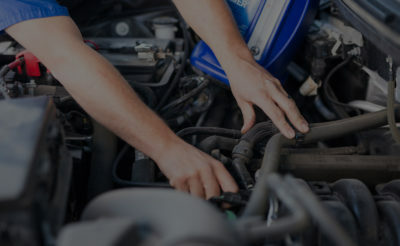 Get in touch with us today to see how we can help!